"Our action was misguided and we are deeply sorry for any concern or trouble that our letter may have caused Mr. Eckhart. We sincerely appreciate and respect EFF’s work on his behalf, and share their commitment to protecting free speech in a rapidly changing technological world." Looks like the Electronic Frontier Foundation's backing of Eckhart paid off, the lawyers have done their thing, and the security and privacy advocate known as TrevE won't be pursued for thousands of dollars of fines after all. That doesn't change the fact that the Carrier IQ software remains on a number of phones, and many of you aren't crazy about having a hidden background app report how you use your phone back to the manufacturer -- even if you do agree to it up front -- and that's certainly an argument that needs to continue. our cease and desist letter to Mr. Trevor Eckhart. We have reached out to Mr. Does not provide real-time data reporting to any customer. 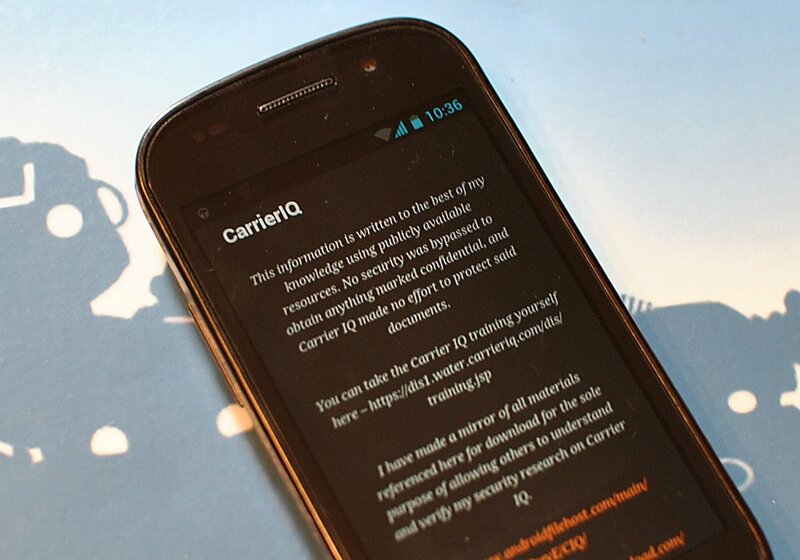 Finally, we do not sell Carrier IQ data to third parties. Our software makes your phone work better by identifying dropped calls and poor service. Our software identifies problems that impede a phone's battery life. Our software makes customer service quicker, more accurate, and more efficient. Our software helps quickly identify trending problems to help mobile networks prevent them from becoming more widespread. be helpful to us, to our customers, and to consumers that use mobile devices. complicated and technical aspects of the mobile ecosystem.